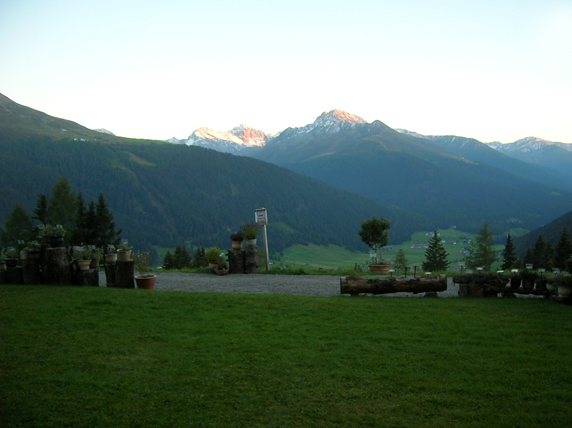 Magic: view of the Jakobshorn from the Schatzalp’s terrace. 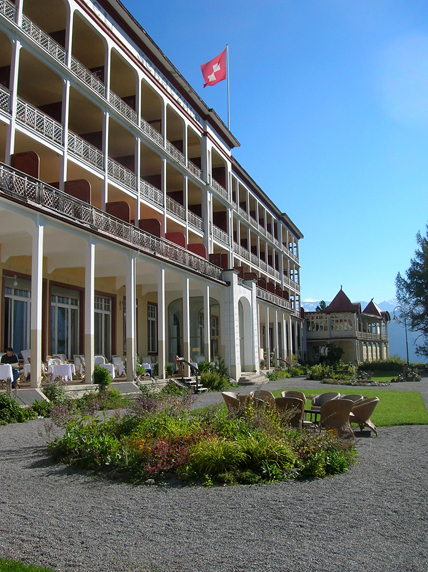 Accessible only by a private funicular railway, the Schatzalp opened in 1900 as a tuberculosis sanatorium (and this is the form it appears in Mann’s novel), but in the years after the Great War it was converted into a luxury mountain ski resort. It was one of the first buildings to be made from concrete, and the deep wooden balconies still exist today, along with such genteel traditions as “Apreo hour”, when you can enjoy a drink on the terrace, breathing the clean air and enjoying surely one of the best views in Europe. 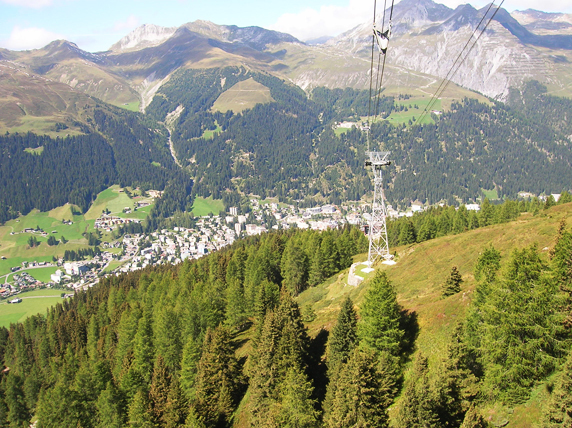 Davos seen from a cable car. In the novel, which Mann sets in 1907, Hans Castorp, a young engineer, travels to the International Sanatorium Berghof to visit his sick cousin, Joachim Ziemssen – a trip that is only supposed to take three weeks, However, Castorp soon begins to feel unwell, is diagnosed as tubercular, and joins the other consumptives, lying on their lounge chairs, staring into the bewitching depths of the valley. He stays there for seven years. The novel is a reflection on illness and death, but also a satire on those who choose to remove themselves from reality – the characters, secluded on their magic mountain, are unaware that war is about to destroy their world forever. 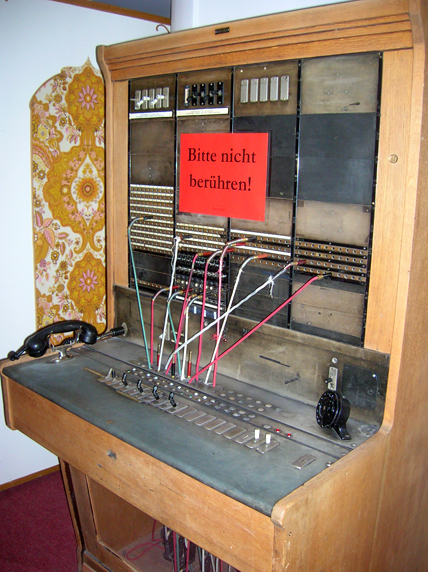 Old telephone exchange at the Schatzalp. 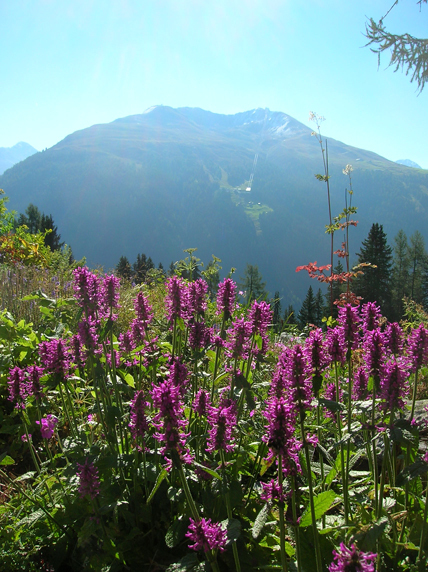 Just like Castorp and Mann himself (who is said to have been inspired to write his ‘epic of disease’ after he fell ill while visiting his wife at the Schatzalp), I turned up in Davos fighting fit, then went rapidly downhill – though only with a cold. Thankfully a German waiter from the Piano and X-ray bars (the latter used to be the x-ray department of the sanatorium) came to the rescue with a Jagertee. This mixture of black tea and overproof Austrian rum didn’t exactly cure my sore throat, but it made me merry enough not to care (it was perfectly acceptable to drink Jagertee for fun, too, explained the waiter shrugging). 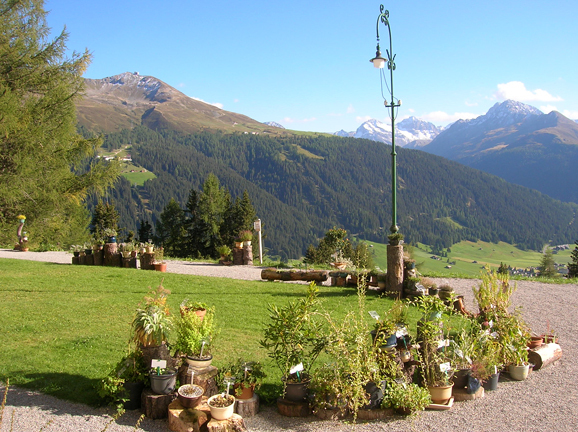 And what with the bracing mountain air and the presence of gloopy fondues and röstis as big as a wheel, I suppose there are worse places to be ill than halfway up a mountain in Switzerland. 1. Translation by H.T. Lowe-Porter (Vintage, 1999). 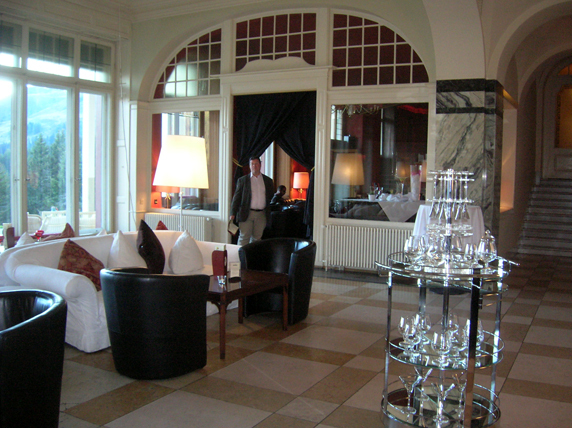 Apero hour in the Schatzalp lounge, with the entrance to the Piano Bar. 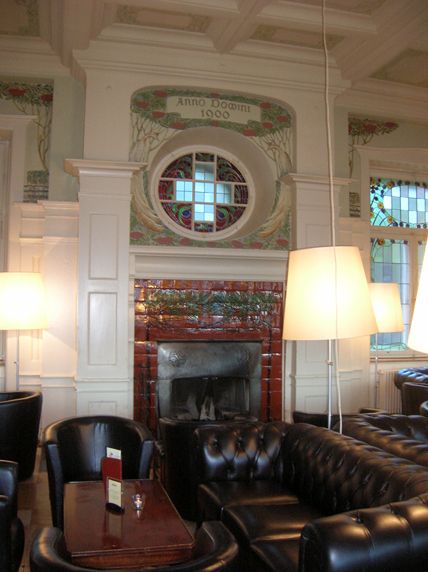 Apero hour in the Schatzalp lounge. How wonderful, the hotel is now on my “bucket list”! Thanks Julian – it was really fantastic. 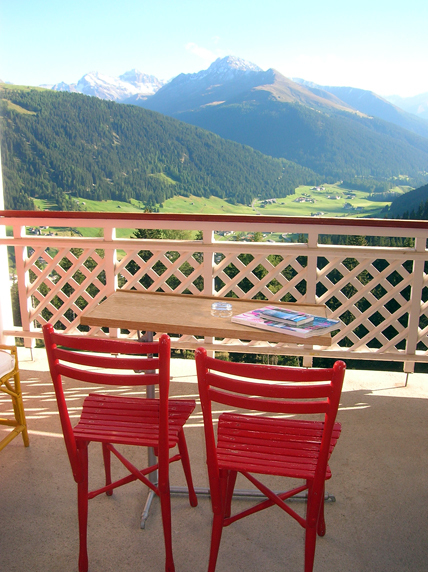 Make sure you ask for a “sunny” room, not a “mountain view”, otherwise you’ll end up looking out of the back of the hotel instead of towards the Jakobshorn. 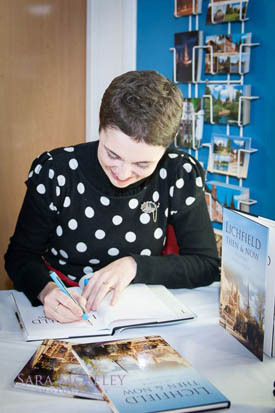 I'm a writer, editor and photograper based in Lichfield: a small cathedral city in Staffordshire. 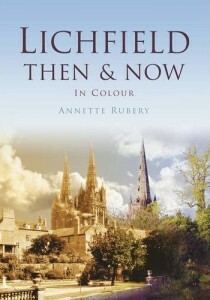 I'm also the author of Lichfield Then & Now (The History Press, Nov 2012). Many thanks to Heather Horsley, who drew the wonderful image of Lichfield above. Unauthorised use or duplication of these words and pictures without written permission is strictly prohibited. Excerpts and links may be used, provided that a full credit is given to Annette Rubery with appropriate links back to the original content. Lichfield illustration © Heather Horsley 2012.